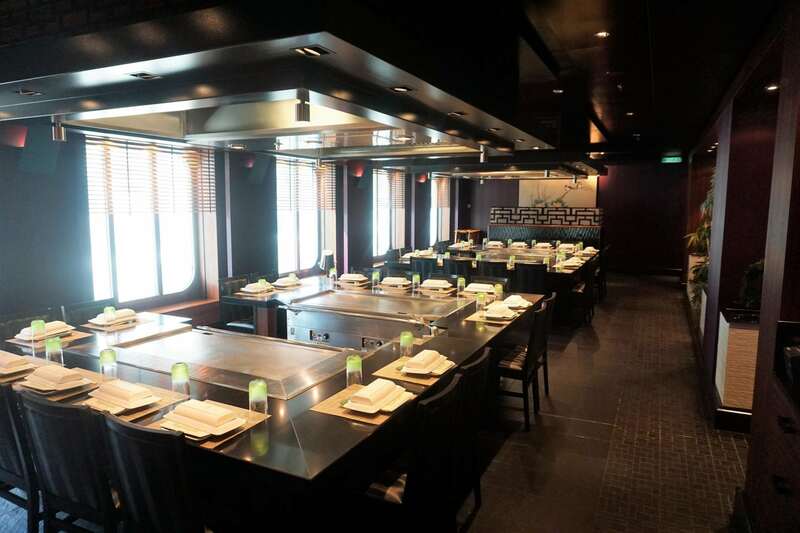 One of our favorite restaurants on Norwegian Cruise Line is the Japanese Hibachi steakhouse, Teppanyaki. We always seem to find our way here one night of our cruise, and our sailing on Norwegian Getaway was no different. Our visit to this popular dining venue did not disappoint. Want to know why we keep returning to this specialty restaurant? 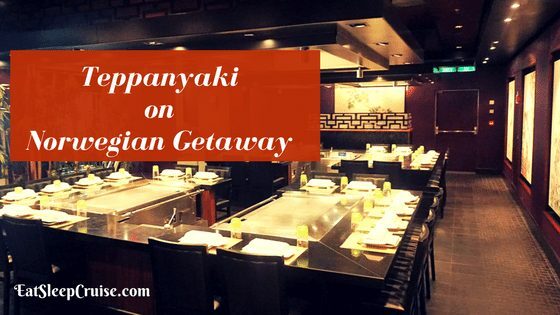 Continue reading to find out why we loved Teppanyaki on Norwegian Getaway. There is no better place to be on a Norwegian Cruise Line ship than in the center of all the action. On the newer ships, this means being in 678 Ocean Place, the heart of the ship and the perfect launching spot for your evening activities. 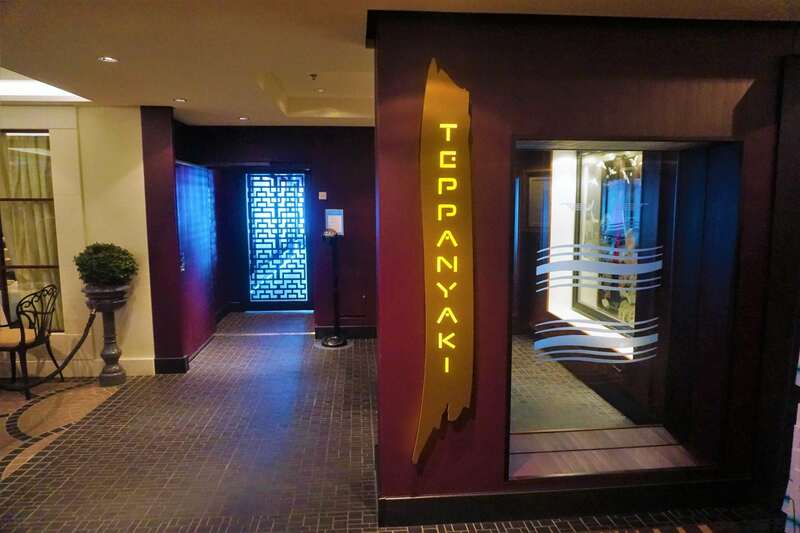 Whether you are heading to Headliners Comedy Club, the Atrium, the theater, or the casino, it all starts right here with your dinner at Teppanyaki. While not the fanciest restaurant on the ship, it is by far the most gregarious and entertaining. Song, laughter, and positive vibes emanate from this restaurant. The communal experience of cruising is turned up a notch as you are seated with 6 other guests for a close to two hour dining experience. Everyone gets to join in on the excitement, even the shy ones like the Princess. 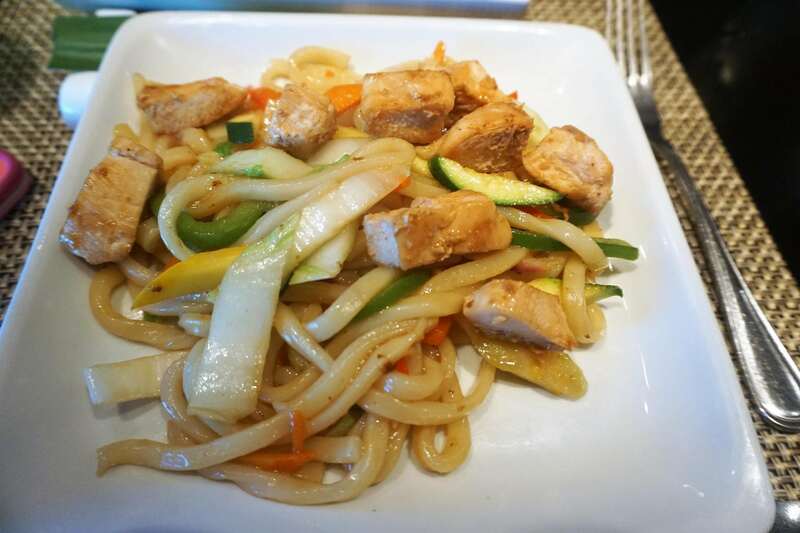 Once you are at Teppanyaki, get ready to have a deliciously good time. If you have dined at a Hibachi restaurant on land, then you know the basic drill. For those who have not ventured out to try this style of dining, you are in for a treat. With a light vegetable appetizer, a soup, and a salad, you have just gotten started. Once you are ready for the main course, you have several different options including steak, shrimp, calamari, scallops, chicken (after all the Princess is eating here too), or some combination of the different meats. 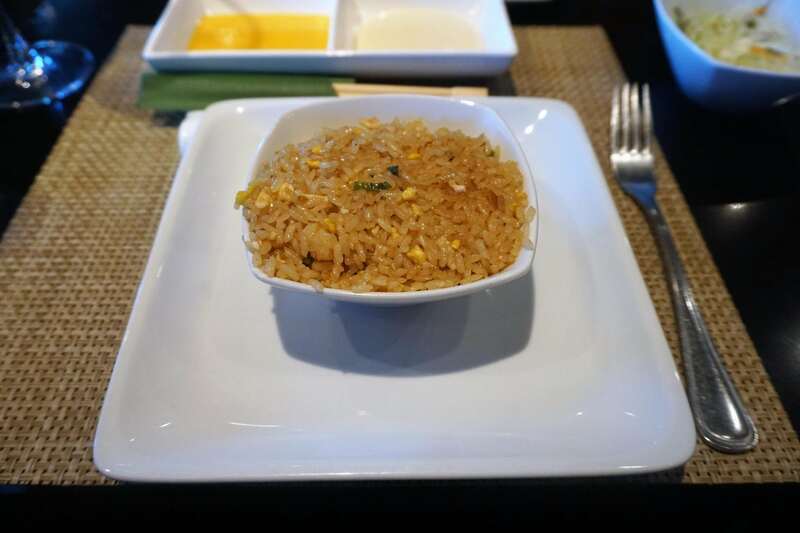 You couldn’t go to a Asian style restaurant without some fried rice, right? Cooked up in front of you on the grille with the right blend of ingredients, this fried rice makes for the perfect side dish. 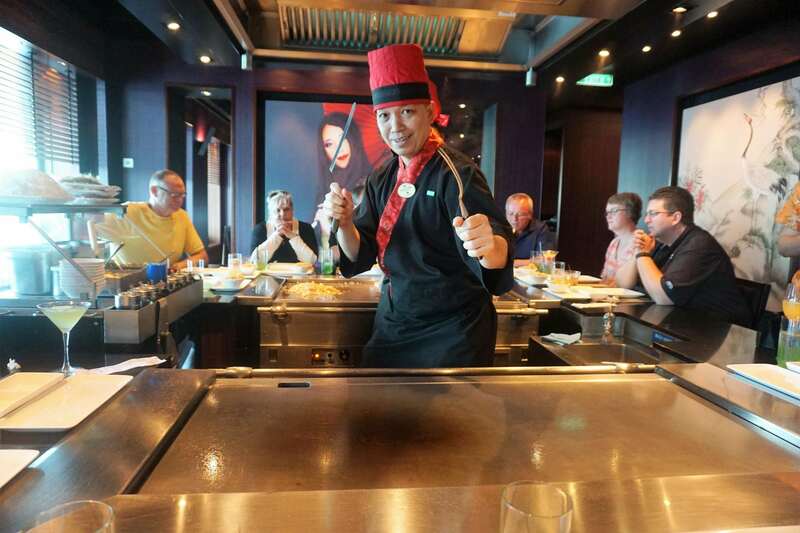 Perhaps it is just luck, but every time we dine at Teppanyaki, our chef is always the most energetic and comedic in the entire place. We were laughing, singing, and making the other patrons in the restaurant jealous. At least, that is what I told myself as we were dining with our new found friends. Our culinary master, Warren, was quick with the comments, jokes, and banter. His knife wielding tricks were also quite impressive, as were his cooking skills. Everyone at the table was completely stuffed by the end of the meal. I attribute it to the precision of his cooking and his love of 1980’s music. This is one restaurant where you won’t have to worry about your menu selections. For a flat fee of $29.95 per person, you can indulge in this feast for all your senses. Your Norwegian Cruise Line Specialty Dining Package also works at the restaurant. Depending on which package you purchase (or perhaps received free as a perk), your dinner here could be about 20% cheaper. Either way, spending one evening here during your cruise is certainly worth the price! There you have it. Our affinity for this Asian-style steakhouse is certainly well earned. We look forward to our next NCL cruise planned on Norwegian Bliss. While it has not been announced, one can suspect that the ship will also have a Teppanyaki restaurant onboard. 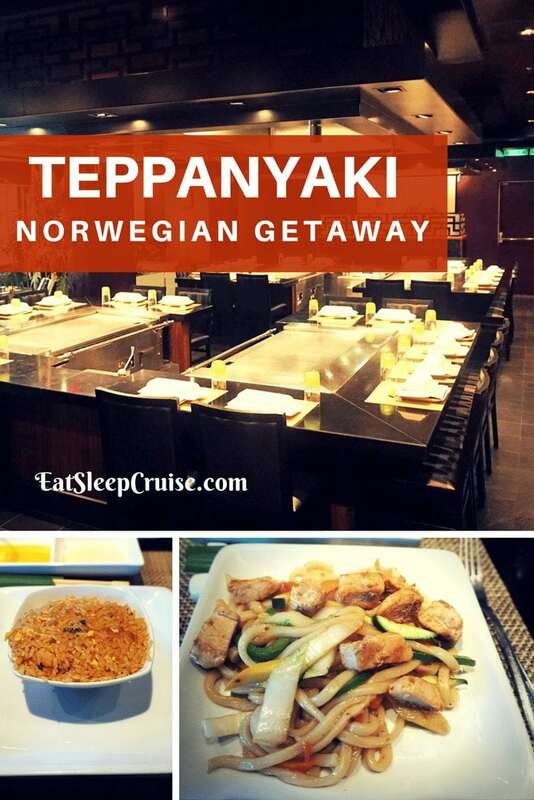 Have you dined at Teppanyaki on a Norwegian Cruise Line ship? What is your favorite specialty restaurant? Drop us an anchor below to share your dining reviews with fellow cruisers.